Warrenville, IL May 3, 2018 – Phonak, the global leading provider of hearing instruments and wireless communication solutions, was named the winner of a Silver Stevie® Award in the new product category in The 16th Annual American Business Awards® today. Nicknamed the Steviesfor the Greek word meaning “crowned,” the awards will be presented to winners at a gala ceremony at the Marriott Marquis Hotel in New York on Monday, June 11. Tickets are now on sale. More than 3,700 nominations from organizations of all sizes and in virtually every industry were submitted this year for consideration in a wide range of categories, including Startup of the Year, Executive of the Year, Best New Product or Service of the Year, Marketing Campaign of the Year, Live Event of the Year, and App of the Year, among others. Phonak was nominated in the new product category for Audéo B-Direct. Audéo B-Direct is a revolutionary hearing aid that directly connects to any Bluetooth enabled cell phone. The Audéo B-Direct automatically senses your surroundings and immediately makes adjustments that enable you to effortlessly hold conversations in noisy environments, answer phone calls without having to touch your phone, and enjoy a theater-quality listening experience while watching movies and television shows at home. Details about The American Business Awards and the list of 2018 Stevie winners are available atwww.StevieAwards.com/ABA. Headquartered near Zurich, Switzerland, Phonak, a member of the Sonova Group, was created in 1947 out of a passion for taking on the most difficult hearing challenges. Seventy years later, this passion remains. As the industry’s leading innovator, we offer the broadest portfolio of life-changing hearing solutions. From pediatric to profound hearing loss, we remain committed to creating hearing solutions that change people’s lives to thrive socially and emotionally. We believe in creating a world where ‘Life is on’ for everyone. 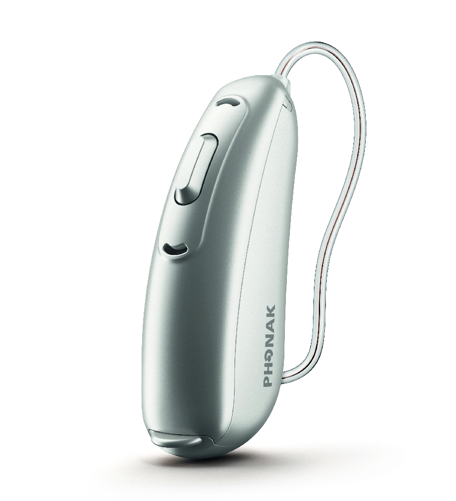 For more information, please visitwww.phonak.com or the Phonak Partner Page on AudiologyOnline.